Elizabeth Bishop had, and Annie Dillard has time for lichen. Dillard, echoes the extraterrestrial leap, noting in The Eclipse that photographs of the Crab Nebula taken fifteen years ago seem identical to photos of it taken yesterday, even though it is expanding at seventy million miles a day. Botanists, she continues, have measured some ordinary lichens twice, at fifty year intervals, without detecting any growth. Lichens grow very slowly and certain species have extraordinarily long lifespans. 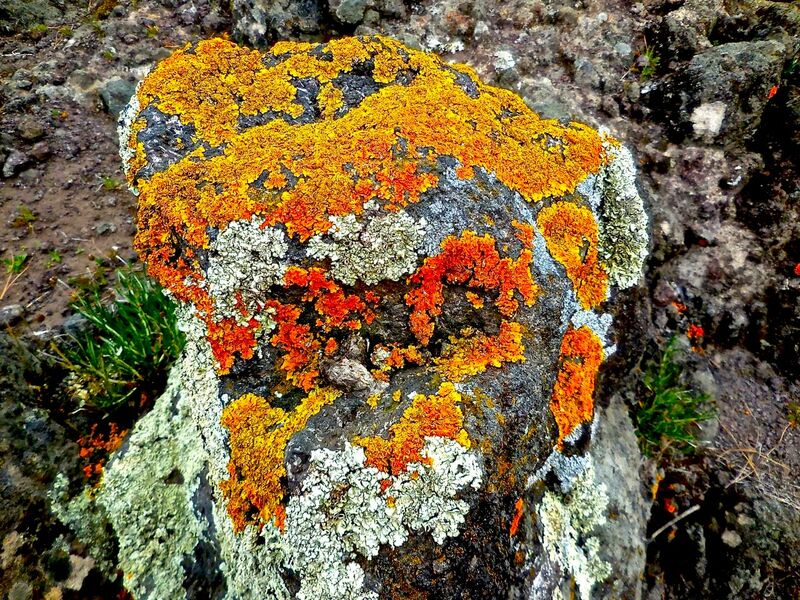 Samples of Rhizocarpus geographicum, a lichen that grows in the arctic, were determined to be over 8,000 years old. But lichens are not always slow. When it rains on individuals of genera Acarosporaceae, hydraulic pressure is applied to the ascus, a cylindrical structure containing spores, launching them into the air at 250 miles per hour. Many spores land nearby but others drift up into the stratosphere and may float for hundreds of miles.